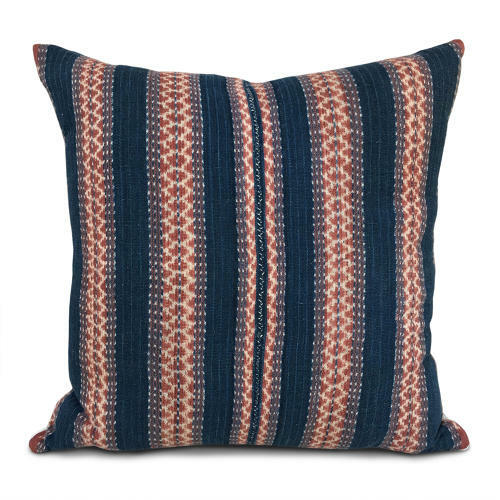 These striking cushions are made from a vintage ikat sarong from Flores Indonesia. The colours are deep indigo and terracotta natural dyes. The backs is vintage hemp, there is a zip fastener and feather pad.